Narratives » 1 Million Newly Enrolled Students: An Assessment of Challenges and Opportunities in the Ministry of Education? 1 Million Newly Enrolled Students: An Assessment of Challenges and Opportunities in the Ministry of Education? 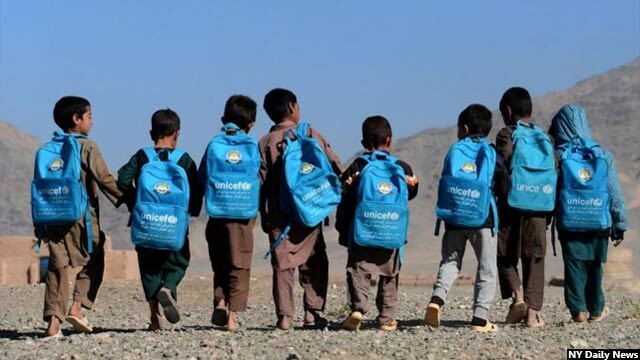 As the new educational year commences in Afghanistan, the Ministry of Education says that one million children will be enrolled in school this year. Nooria Nazhat, spokesperson of the MoE says that the ministry has initiated a huge campaign to incentivize and attract children towards joining school. This way the ministry aims to increase the participation of children in the school. “We have initiated a series of specific programs this year to increase the level of participation of children in going to school and the awareness building for families has been part of these programs. We expect that more girls to be enrolled in school. Based on the program we have planned, this year, we will attract a million children-both girls and boys to schools.” Ms Nazhat said. According to Ms. Nazhat, last year, only six girls were enrolled against every 10 boys, and the Ministry of Education is trying to maintain this balance this year. “Currently 3.7 million children in Afghanistan are deprived of going to school, of which 75 percent are girls,” as per MoE statistics. In addition to raising educational and capacity level of students in schools, literacy is another major development program of the Ministry of Education in the new solar year. Ministry of Education has created 11,358 literacy centers across Afghanistan that on annual basis will provide learning platform of basic “reading and writing” literacy for 300,000 men and women. Statistics of Ministry of Education of Afghanistan show that 11 million Afghans are currently illiterate and the ministry is trying to minimize this figure by 2030. According to statistics of the ministry, in 2005, 30% of the people between ages 15-24 were literate, and by 2017 this figure had risen to 54%. Last solar year (2018) was named as education year by government of Afghanistan. MoE officials say that as education year ended, education decade began which will continue until 2029. They emphasize that the plans they have for this decade will help at the end of this period for Afghanistan to have a standard education beyond the challenges that the country currently faces. Ministry of Education considers systematizing of education structure in the country as its biggest achievement in this educational year. According to officials of the ministry, in the past year, the focus of MoE has been much on educational structure in the provinces. They say that they have somehow decentralized educational system and increased the financial and administrative authorities of directorates of ministry of education in the provinces. Reform in educational materials has been another accomplishment of the Ministry in 2018. 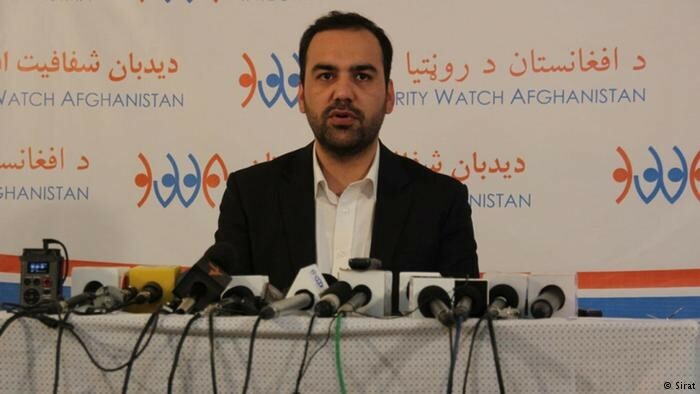 Report of Integrity Watch Afghanistan which was released in November 2018, introduced Ministry of Education as one of the three most corrupt institutions in Afghanistan. Previously, Independent Joint Anti-Corruption Monitoring and Evaluation Committee (MEC) reported that in the process of teachers’ recruitment in this ministry, distribution of textbooks, logistics and establishment of buildings for schools, literacy program and salary payments of teachers, there is widespread corruption. At present, officials of Ministry of Education emphasize that they have dismantled major sources of corruption from the ministry. Before this, a fundamental part of MoE work was building schools around Afghanistan. But now, according to ministry officials, this program has been transferred from the Ministry of Education to Ministry of Urban Development and Housing. One of the other sources of corruption in the Ministry of Education has been the payment method of teachers’ salary in the ministry. In Afghanistan, due to the fact that there is still an underdeveloped banking system; there are trustworthy people who are given the responsibility of distribution of salaries to teachers. When money goes hand to hand from one trustworthy individual to the other, it somehow creates a challenge in Afghanistan and provides an opportunity and loophole for some. 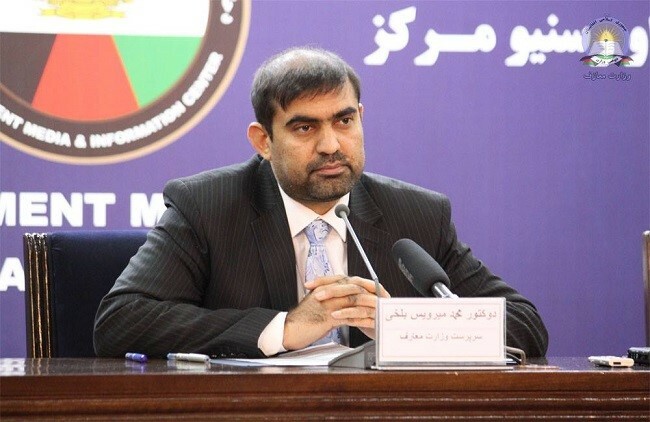 But now, Mirwais Balkhi, the acting minister of education assured that at present, the ministry has moved on from the “trustworthy system” and now salary payment is rendered through modern facilities. Ghost schools and teachers have been other major challenges for the Afghan government in education sector. Officials of Ministry of Education relate the existence of corruption and ghost schools to lack of statistics and specific information database from the number of schools, students and teachers. Ministry of Education officials have said that since March 2018, they have created information database in ministry to collect accurate statistics from schools, teachers and students across Afghanistan. Statistics show that in the past fifteen years in 148 districts of Afghanistan, no girl has graduated from the school. Meanwhile, no boys and girls of 48 district have graduated from school in the past seventeen years. Most of these districts are located in Helmand, Nuristan, Ghazni and other insecure provinces. 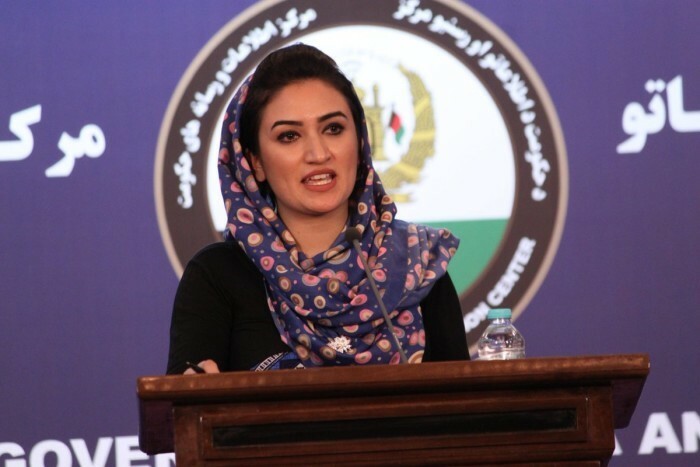 Nooria Nazhat, the spokesperson of Ministry of Education says that instability, financial problems, and inappropriate practices in many parts of Afghanistan have caused most of the girls in some parts of the country to remain uneducated. “Children living in insecure areas, especially in provinces like Paktia, Paktika, Zabul, Helmand and other provinces, face insecurity and besides in those areas from one side security situation is a challenge and other the other hand, inappropriate tradition and practices are influenced that don’t allow children to receive an education” Ms. Nazhat explained. The closure of school for students has been another major challenge in insecure areas of Afghanistan. The statistics of Ministry of Education in last solar year indicates that the doors of 1080 schools across Afghanistan were closed to students. Presently, MoE officials say that since last year this number has changed and about 500 school doors have opened to students over the last year. On the other hand, the doors of 400 schools are still closed to students. Ministry of Education says that they are trying to open a large number of these schools in a new solar year. “More than 400 schools are still closed. Through social mobility program we are trying to open the doors of schools to students,” Ms Nazhat told Reporterly. Based on the statistics of MoE more than 9 million and 650,000 students across Afghanistan are currently attending school, of which 38 percent (more than 3 million) are girls.